Tandem bicycles haven't changed that much over the years. They are quite expensive and they are used for very specific activities. You can't use them to drive by your self around town. 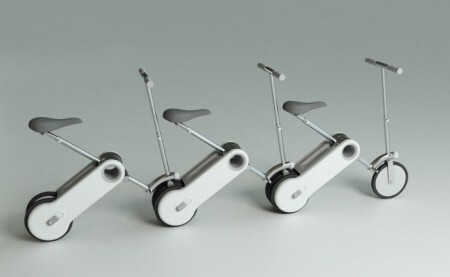 Jiang Qian, a designer from Shanghai, designed an electric bicycle concept which is inspired by the train cars. You have your own bicycle which can be driven alone or be attached to other bikes. The implementation is very simple, the back wheel of one bicycle acts as the front wheel of the second and so on and so forth. The handle and the seat of the bicycle rest on the front wheel while the rear wheel is placed under the seat-post to support the weight. There are no pedals, each bicycle is completely electric. I don't see a reason why this bicycle won't incorporate also pedals. 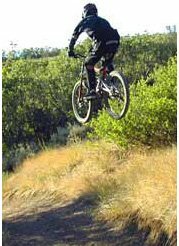 It will surely be hard to synchronize the pedaling movement in each bicycle but it also no simple to synchronize the motor activity. When driven alone, each rider control the direction of course, but when connected to other bikes, the speed and direction are controlled only by the rider in the front seat. Currently in the market there are just a few electric tandem bicycle which are based on the original tandem design. A new wave of inventions could surely serve this niche. 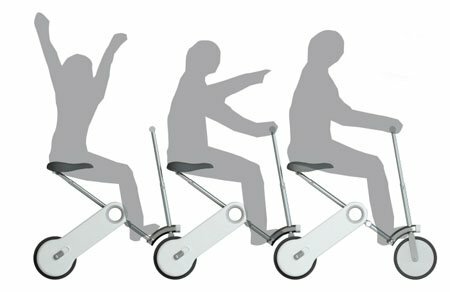 This invention can open a new door for a world of opportunities regarding group riding. But, I would prefer it to have pedals, although the implementation could be complicated as I already mentioned before.